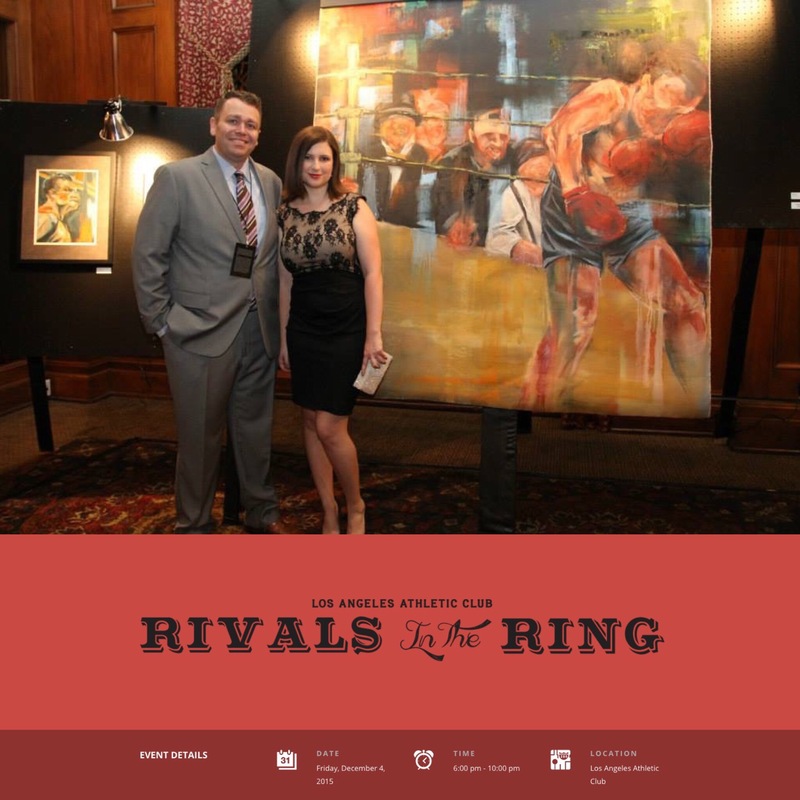 Thrilled to announce that I’ve been invited to participate as the featured artist of the Los Angeles Athletic Club’s “Rivals in the Ring” event for 2015. My solo show at last year’s event went incredibly well, and I am honored to be invited back once more. “Rivals in the Ring” is a ticketed event, and will feature live boxing, whiskey, cigars, and a whole bunch of art by yours truly.